My Proof Copy, and the Journey! I am one step closer to having my book available to the masses. Once this proof is approved my book will be officially launched! 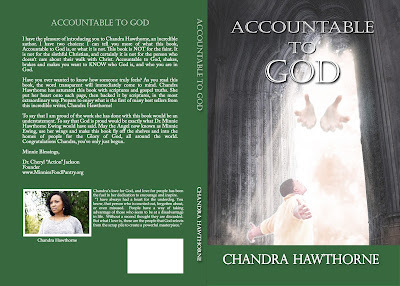 Accountable to God will be available to purchase on Amazon, Kindle, and of course through this blog. Completing this assignment was a commission from God. It blessed me so much while I was writing it because everything was bubbling up from the Holy Spirit, and I was truly enlightened. I found myself praising, repenting, crying, worshiping, and dancing in light of what God was sharing with me for His people. When God first gave me this assignment I prayed about what should be on every page and every chapter. I would pray until I pushed through before writing sessions to ensure that what I said was fueled by the Holy Spirit. It was not easy to write this book. I had to address some tough issues that were strong holds against faith in God, and His church. I poured through my Bible diligently to make sure I paired every revelation, standard, and principle with God's Word. 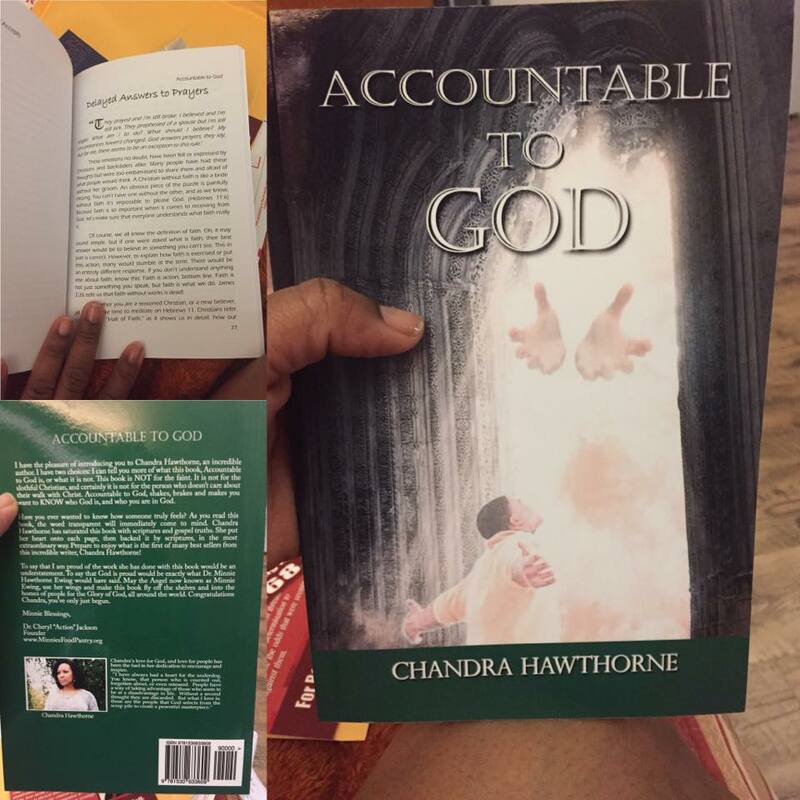 The Lord gave me all of the chapters before I started writing the book. Some chapters I could fly through, and some I would often think, "I'm not qualified to write about this, I've got nothing!? It wouldn't take long before a series of very tough trials would manifest in my life. God brought me through them, I was able to look back and see God's hand, and so I continued to write. So many pauses. I would be chugging along good, and then bam deadlocked! I had many moments where I had no clue when I would finish because of the amount of research and spiritual maturity it took for me. I am embarrassed to tell you when I actually started writing this book! Lets just say I once was young, and now I am years older. It's not that the book is super deep, it's not? It is written in a way that even a child could understand it, but when you make your way through it you will see what I mean. I also hit a lot of brick walls with traditional publishing submissions, independent firm submissions, and self publishing attempts. First time publishing "done right" is not easy when you don't have great resources. This book is a mandate from God on my life and I know He wants the world to know this. I had to finish it. (And if you know me, you know I don't walking around saying God told me to say this or that.. I just don't do it.) The very title alone was enough to convict me. I knew no matter what I would be held Accountable to God on judgment day if I didn't get it out, so here you go! I will post on the launch date soon! Please help me get this assignment from God moving. You can pre-order your copy today, and one for a friend! I am thanking and blessing you in advance for your generosity, and support!